Bentinck House is situated in the West End of London and is convenient for a quite a few tube stations. With a wonderful architectural appearance externally, the inside of the business centre is also pleasing to the eye and has been refurbished to a modern standard. With quite a few offices for let, small and large office capacities are available and fully set up with internet and phone lines. Furniture comes free in all suites and digital phone handsets are included for all members of staff if necessary. Meeting rooms are also accessible on-site and can be pre-booked hourly or for half or full days. 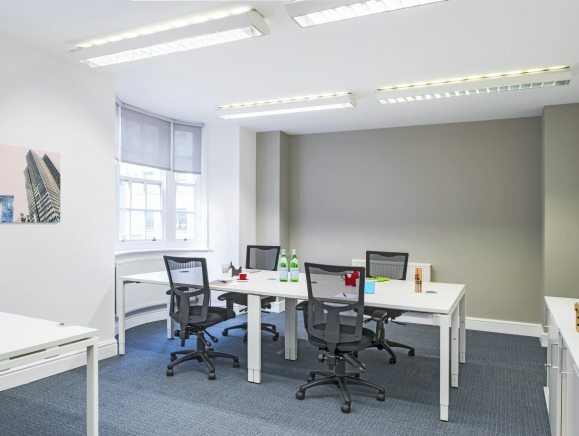 Features at these serviced offices include 24-hour access, use of showers and IT support. Security surveillance is also operational at this office rental.